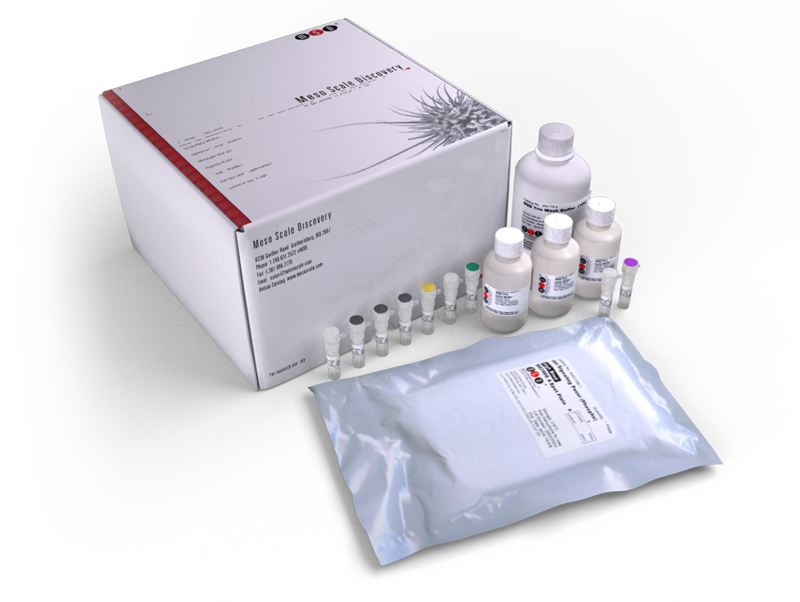 The Human Proinflammatory II (4-plex) Kit consists of inflammation-related biomarkers that are involved in various biological processes, including inflammation, aging, wound healing, acute phase response, tumorigenesis, and fever induction. They are also associated with diseases such as Huntington’s disease, hepatitis C, osteoporosis, pulmonary fibrosis, liver cirrhosis, ischemia, and berylliosis. Because of their important biological roles; these biomarkers are the subjects of drug discovery projects, diagnostics development, and basic research. The Human Proinflammatory Panel II (4-Plex) Kit provides assay-specific components for the quantitative determination of endogenous IL-1β, IL-6, IL-8, and TNF-α in human urine, serum, plasma, and cell culture supernatants.